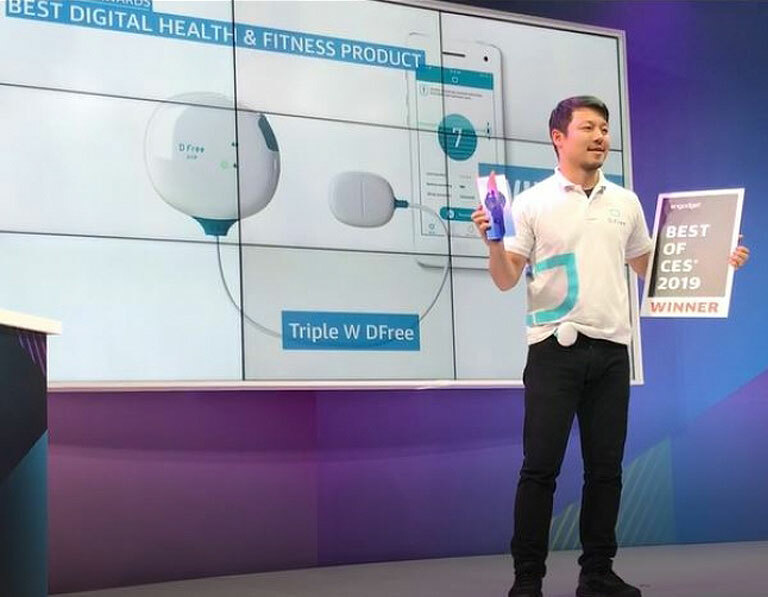 SAN DIEGO – January 17, 2019 – Triple W, an innovator of connected health devices, today announced it won the “Best of CES Award” for the Digital Health and Fitness Category at the International CES® 2019. Chosen from thousands of companies appearing at CES 2019, DFree®, the first health tech wearable device for urinary incontinence, stood out to Engadget’s editors based on its level of innovation, quality of design, overall efficiency and market demand. Engadget was founded in 2004 as a devoted, real-time source for tech news. In its second decade as a leading technology and culture publication, Engadget's web and mobile presence has grown to reach over 25 million unique visitors per month. Engadget is the official partner of the Best of CES Awards and has been the Official Online News Source for the world's largest trade show for consumer electronics since 2009. Find Engadget online at www.engadget.com. Triple W empowers people with incontinence to live without worries. Triple W believes that having control of your senses is the key to independence and living life to the fullest. The company was founded in 2015 and has offices in Tokyo, Paris and San Diego. DFree’s award-winning and patented technology is currently used in over 500 senior care facilities in Japan, Europe and the U.S. since 2017. DFree is not a medical device and is not intended to be used in the diagnosis, prevention, or treatment of diseases or conditions.